YEREVAN. – First Deputy Prime Minister Ararat Mirzoyan does not rule out their nominating Acting Prime Minister Nikol Pashinyan as candidate for PM in the first round of respective voting in the National Assembly (NA) of Armenia. Speaking with reporters after his talk Wednesday with the “Way Out” (Yelk) Faction of the NA, Mirzoyan noted that lawyers interpret the respective constitutional provision in two ways. 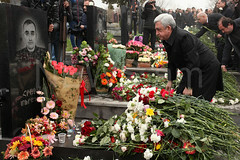 Ararat Mirzoyan stressed, however, that they had not spoken about this matter. 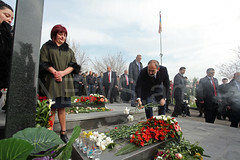 As reported earlier, Nikol Pashinyan on Tuesday resigned from the office of Prime Minister of Armenia, and once the NA is dissolved, a snap parliamentary election is expected to be conducted in December.